The Roo Run is a fundraising initiative of the Anglesea Motor Yacht Club (AMYC). 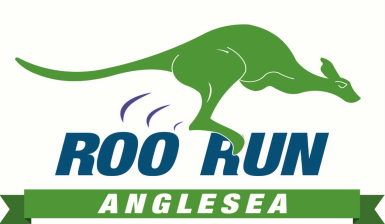 For the first time in event history, the Anglesea Motor Yacht Club has teamed up with the Surf Coast Trail Runners to present the Anglesea Roo Run in 2018. This is an exciting time for both Clubs to unite and call the Anglesea Motor Yacht Club club house home. The club house is also home to board riders, fisherman, ASLSC beach patrol at Point Roadknight and home to a 6 metre rescue boat which not only starts the catamaran races but functions in ocean rescues. This rescue boat requires replacement every five years and is a major expense for the Club. As an ongoing funding initiative, the club house is in need of a large size rubber ducky capable of quickly accessing the Anglesea back beach, which has experienced drownings over the years. In addition, the extension to the top deck of the club house will turn the 5:00pm - 8:00pm Christmas holiday “Rusty Anchor Bar” into arguably the best casual beach bar on the coast, given our beachside position! The Anglesea Roo Run falls the night before the ASLSC Rock 2 Ramp ocean swim each year and offers elite and serious runners, recreational runners and teams, kids under 12 and physically challenged kids and young adults the fun and incentive of family friendly competition. Offering visitors and locals a family-based summer fun run, the breathtaking location utilises our beautiful back beach, coastal walk tracks and the Anglesea river walk, attracting runners far and wide! In addition to fundraising for the Anglesea Motor Yacht Club, our sponsors also support local community organisations such as The Anglesea Primary School, Men’s Shed and Lions Club. "We are thrilled to be the major sponsor of the Anglesea Motor Yacht Club. I consider this club and the location at Point Roadknight as the most valuable asset in Anglesea. Of course more than the incredible beach and views from the venue itself, the overall sense of community and spirit by everyone involved has made our association incredibly rewarding. Great Ocean Road Real Estate continues to be the largest premium real estate brand on the Great Ocean Road with positive results, we’re incredibly proud of. We are grateful to have worked with many clients including contracting over 250 property sales in the last 12 month. We are also fortunate to be entrusted with managing approx 1200 properties along the coast. 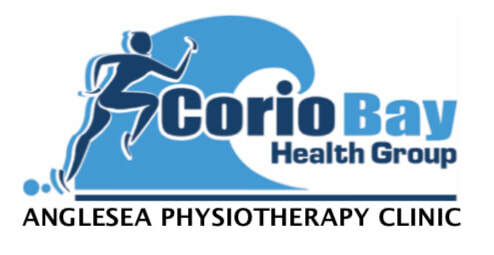 We are truly passionate about what we do and genuinely love the area we’re blessed to work in. Looking forward to seeing you at the Rusty Anchor over the summer or the many events throughout the year. Please contact me or any of our team if you require assistance with Holiday Accommodation, Permanent Rental, Purchasing or Selling a Property, in what I refer to as Paradise! Thank you to Wes and the committee, wonderful to be continuing our partnership for another year."